1o. Whether you want to or not…You will have to decide between a PR and a magical memory. When you see that character who you just have to meet but you know you will miss a PR if you stop? Well, we know you are going to stop. 9. Whether you want to or not…You will fall in love with the bling. 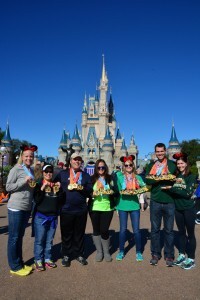 runDisney consistently has some of the best SMOs in the racing community. The only problem is, you can’t help but wonder what will they come up with next? 8. Whether you want to or not…You will suffer FOMO when you don’t run. (FYI, FOMO = “fear of missing out”). You will have so much fun at a runDisney race weekend, that, even if you decide to sit one out, FOMO may motivate you to grab your credit card and go ahead and register anyway. 7. Whether you want to or not…You will have an excuse to eat some amazing food. Calories that you eat during a race weekend don’t count, right? Walt Disney World and Disneyland do offer some amazing meal and snack options, and maybe a tasty adult beverage or two, so, let’s go ahead and not count them, ok? 6. Whether you want to or not…You will allow yourself to be talked into some fun adventures. 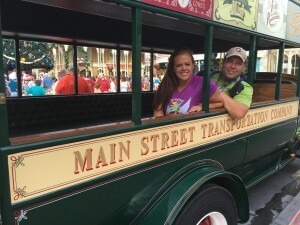 You cannot just run races on your Disney runcation, so your friends and family will talk you into some fun activities such as 4 Parks in 1 Day, riding every ride in Walt Disney World in 1 day, and maybe even some scuba diving? You never know! 5. 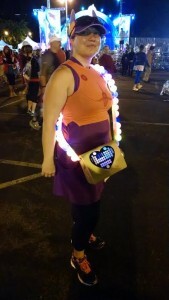 Whether you want to or not…You will get talked into running in costume. Yup, its inevitable. Someone will convince you to do so, and you will enjoy it. 4. Whether you want to or not…You will look forward to every race icon. These courses are not your local running course. Each race is filled with iconic moments such as running through Cinderella’s Castle or Sleeping Beauty’s Castle, past Spaceship Earth, around the Tree of Life, along the splendor of World of Color, or maybe you just want to drop in at the Tower of Terror. Who knows, maybe you will ride a roller coaster mid-race? You can’t help but feel the excitement build as you make your way towards enjoying these iconic race moments. 3. Whether you want to or not…You will run again! How many times have Casual Runners said “I’ll run just this one 5k…or 10k..or half marathon…or marathon…” only to be hooked for life? Yup, we’ve all been there…we should have t-shirts made. 2. Whether you want to or not…You will be inspired. 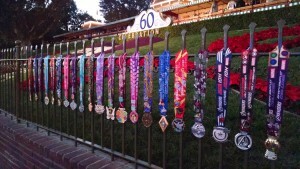 Every runDisney field is filled with runners who have truly amazing stories. From conquering cancer, to overcoming physical disabilities, to weight loss stories, to achieving personal goals, you can’t help but be inspired by your fellow runners as you run those magical miles. 1. Whether you want to or not…You will meet some amazing people. In my 4 years of running Disney, I have met some of the most amazing, supportive, and kind friends a person could have. 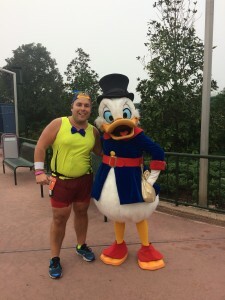 And yes, I am biased, but I even found love in a fellow runDisney runner. So, wait, on second thought, maybe you SHOULD runDisney!